The Carpenter's Ministry Toolbox: EDUCATION: Change Sunday School to Bible Story Time!! EDUCATION: Change Sunday School to Bible Story Time!! The more congregations I visit and church workers I talk to, the more obvious it becomes that the implementation of Sunday School has developed a couple of problems: teacher shortages and low attendance. What does this mean? It means it's time for a change. It's time to change Sunday School into Bible Story Time! Educational research shows that stories have great value in learning for people of all ages so any age can be involved, but it should be geared for the kids, meaning that the stories should always be told so that the children can understand them. When I give SS teacher training it's all about the story and providing children opportunities to tell you what they know. I give participants information regarding the developmental abilities and interests of kids in each age group and then we apply that to Sunday school. This helps kids have a better understanding of Bible stories and God's relationship with His people. The Goal: Students hear the story and accurately tell it back. Parents and other adults participate and aid the kids in retelling each story to their group. The older the student, the more detailed the retelling should be. There are so many options about how to pull this off that I don't know how to present them other than to give a list and let your imagination run wild with what will work for your congregation. People of every age are invited to participate. Either have somebody tell the story (please do it well) or use a video (try What's in the Bible? from Veggie Tales creator Phil Vischer) or read it WITH EXPRESSION. Another good resource would be The Story for Children (4-8 years) and The Story for Kids (9-12 years). Break into age appropriate groups with a few adults in each group. Middle & high school students can either choose (as a group) to participate in story telling or do a study, hopefully a Bible reading plan, on their own. You can, but don't need to have the same adults every week. If you happen to have a great story teller in your church this could be fantastic. Have plenty of props for the kids to use when they retell the story. Have pictures that kids can use to retell the story. Every week have a few volunteers share the story from last week so they see that each of these stories are part of a bigger story. At the end of the year (or maybe twice a year) have a service dedicated to the children telling the congregation what the Bible says by telling the stories. We all learn through stories and kids LOVE being read to! 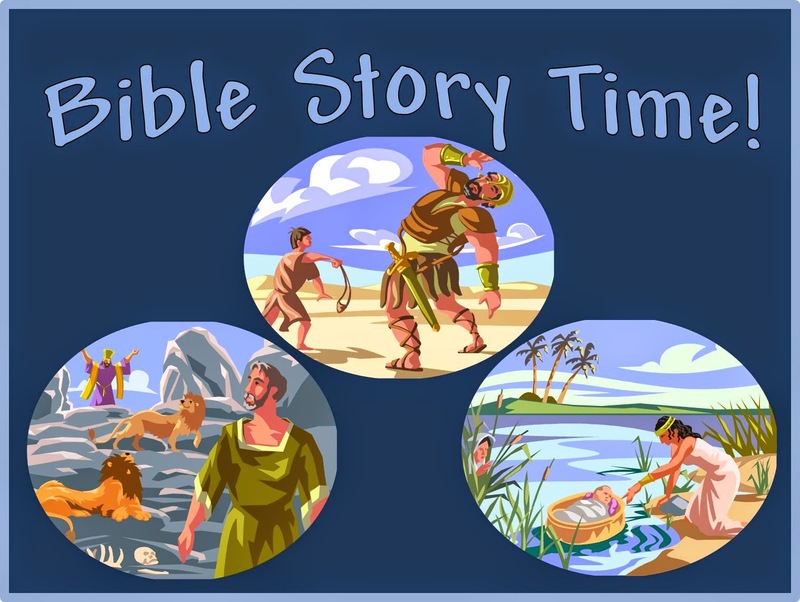 Being able to retell the stories of the Bible correctly help children remember them. So, if you're having trouble getting parents to bring their kids to Sunday School, invite them to Bible Story Time!! Invite the ENTIRE CONGREGATION to Bible Story Time!! Invite the ENTIRE COMMUNITY to Bible Story Time! !